Doctor Who: Big Finish - THE STONES OF VENICE Review | Warped Factor - Words in the Key of Geek. Nathan Browne looks back at the 2001 Eighth Doctor audio adventure from Big Finish, The Stones Of Venice. 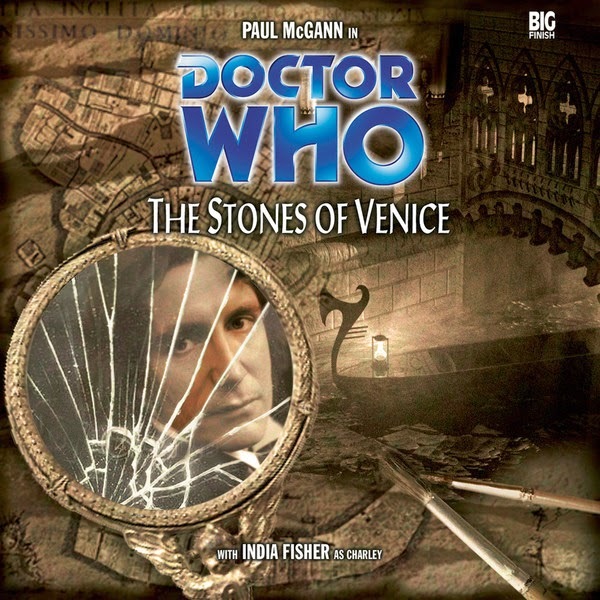 The Stones of Venice was written by Paul Magr's with Tom Baker's Doctor in mind. The script was sent to Baker in an attempt to lure him into recording with Big Finish - it didn't work. After listening to the adapted Eighth Doctor story you may come to the conclusion that Tom Baker is mad - well, even madder than you believed him to be, as this 2001 release is utterly captivating, full of delicious dialogue, magic, love and wonder. I just don't know how anyone could've turned it down as it's the kind of story that even in script form would likely transport you to Venice, such is the atmosphere created. 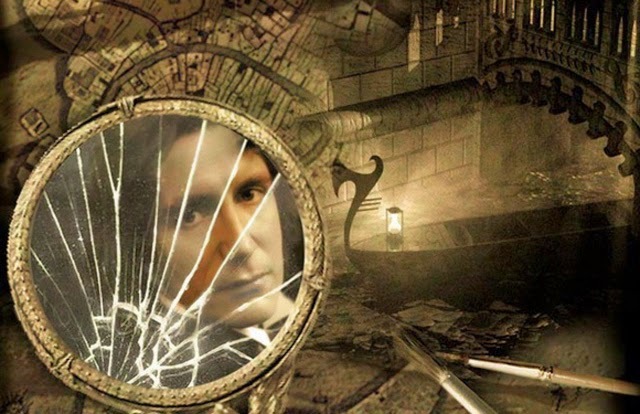 The Stones of Venice was the third Eighth Doctor adventure released by Big Finish, but it was actually the first story Paul McGann recorded for them, and his first return to the character since the 1996 TV movie. I think the idea was to allow him time to get back into his Doctor before recording the all-important first story - Storm Warning - but once you begin listening to The Stones of Venice it quickly becomes apparent that this approach was not necessary. From the evidence of this audio he had no trouble finding his voice, most notably in a wonderful scene in which he eulogises to Charley his love of adventure. It’s a lovely moment in a story full of similar moments. Magrs’s opulent story of Venice’s final day features its doomed inhabitants partying even as it sinks beneath the waves. It has a magic realist reverie with an other-worldly atmosphere quite different from the stories surrounding it. It was only the second ever Big Finish adventure I listened to, when it aired in four parts on BBC Radio in 2005, and so to go from Sword of Orion to this really helped to showcase the diversity that was/is on offer within the Big Finish range. Along with Paul McGann as the Doctor and India Fisher as Charley, we have Michael Sheard as Venetian Count Orsino. He'd previously appeared in 17 episodes of Doctor who (you'll recognise him as the Headmaster in Remembrance of the Daleks), but is more famously known for his long running role of Mr Bronson in Grange Hill. This was to be Sheard's final role for Doctor Who, and here he plays a man who even as the waves lap around his ankles still waits for the return of his missing beloved Estella. The dreamy, poetic tale presented in The Stones of Venice is not going to be to everyone’s tastes, but for those who like their Who with more than a touch of magic about it then it’s pretty special. Nathan is getting too old too quickly and is rapidly approaching his pipe and slippers phase.